The Poppy Umbrella was created by our family in 1998. With various frame styles it features our unique red poppy design on the cover. 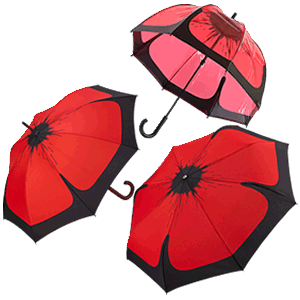 The umbrella was inspired by Flanders poppies growing on the battlefields of the First World War in Belgium and France. Our family has spent 40 years studying, visiting and guiding on the battlefields of the 1914-1918 Western Front. Twenty men in our immediate and extended family, five of whom were brothers, served in the military in the First World War. 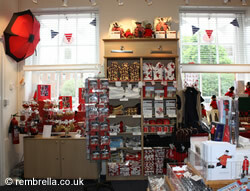 We supply the Poppy Umbrella to gift shops trading for welfare, educational and heritage organizations. Buying The Poppy Umbrella helps to support the work of these organizations in the United Kingdom, Australia, Belgium, Canada and France. Visit our website for information about visiting the battlefields on the Western Front, tracing relatives and useful study resources. Copyright © Rembrella Ltd. All rights reserved.